I'm a bit of a newbie to Certificate signing, so please forgive any stupid questions I might have. Yet, when I sign my CSR using the appropriate template, the Key Usage is not added. Any toughts on How I can resolve this? 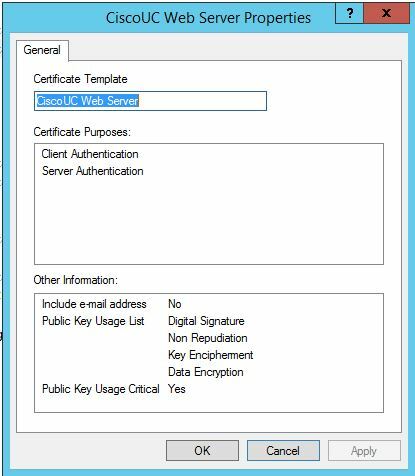 Browse other questions tagged certificate-authority microsoft key-usage or ask your own question. How to change (sub)key usage of a PGP key? What Key Usage values are required to support Code Signing? 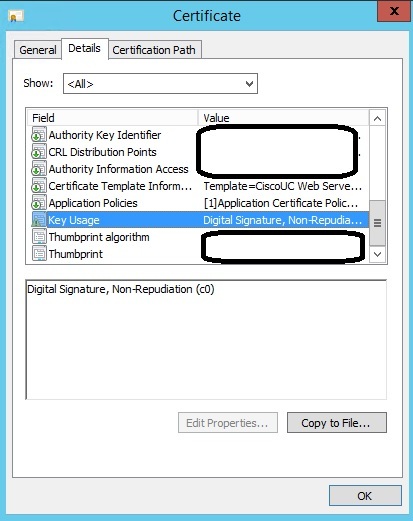 Missing 'Key Usage' on a CA certificate: can sign certificates? Why does curl/NSS encryption library not allow a CA with the extended key usage by SEC_ERROR_INADEQUATE_CERT_TYPE?